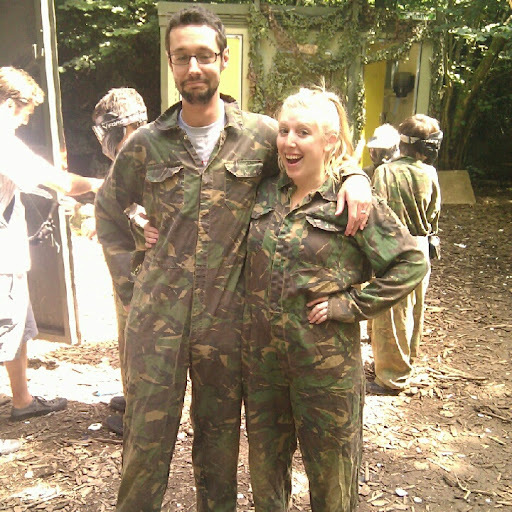 We went laser gun shootin’ at a hybrid laser tag/paintball place the weekend before last. It was bananas. So fun, and uh, it turns out that Jon’s countless hours playing mind-numbing shooter games makes him really good at hiding behind trees and (fake) missiles and stuff. I….was not so good. But we both bruised up nicely from making sweet slides into position, and yelling like we were doing something cool. Thanks for the invite Tim!